As a believer it’s vitally important for you to know that you have been made righteous with the very righteousness of God, not through your actions, behavior, works or performance, but by the grace of God. Our righteousness is not earned by our works or good deeds, it is through our faith. No one lives a perfect life. We all make mistakes. We all fall short of the glory. The Bible says there is no more condemnation to those who are now in Christ and yet we all make mistakes. This is the dichotomy of life. There are so many anointed, gifted believers who are not doing living out their calling and walking in purpose because they are living under a grey cloud of condemnation. They feel unworthy to share the Gospel and to allow God to use them as a vessel of hope and encouragement for others. Anytime you don’t feel worthy to come before God, or to do His work, it means you are living under a grey cloud of condemnation. Condemnation is not merely guilt it’s a combination of guilt, inner- humiliation and shame that causes us to sit on our anointing and stagnate God’s plans for our lives. When we live under the emotion of condemnation, we start to feel like we cannot be used by God because of what we’ve done in the past or what we continue to struggle with. To be "in Christ" means that when we accept Jesus Christ as our Lord and Savior, God does not view us from our place of sin; He views us with the righteousness of Jesus Christ. In Christ" our sin debt is cancelled, our relationship with God is restored to righteousness. So, stop living under condemnation and start letting God use you for His glory. 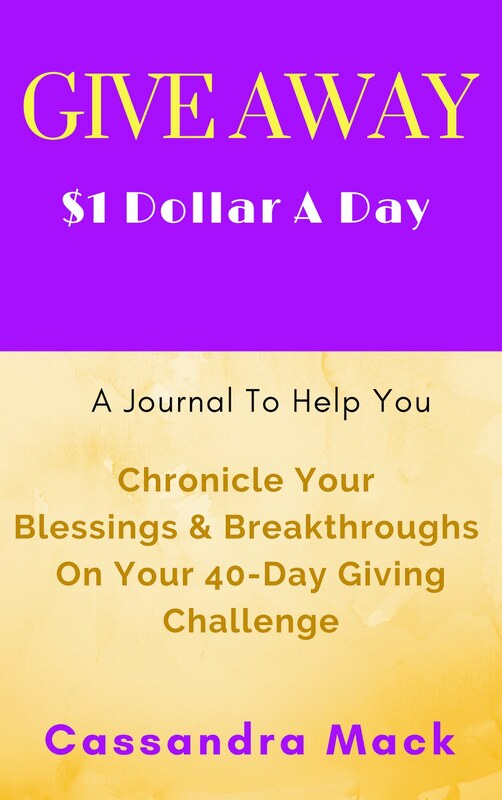 FASTING with The Soul Fast Workbook: Take at least 15-minutes today to renew your mind and fast from negative thinking by intentionally taking your thoughts captive as you complete your journal entry for (DAY 20 in the, Soul Fast Workbook.